RTG online slots invite us to the “secret” world of the Indians, where you can pray to Manitou for more coins! Rain Dance casino slot game belongs to the medium variance category; in other words, coin costs are low but the payouts are high. The graphics quality of the game is very simple, but the hand-drawn art style suits the theme very well. 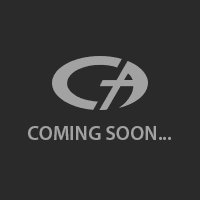 The game contains 5 reels, 20 pay lines and a progressive jackpot pool. It is also very easy to play and suited for all types of players. 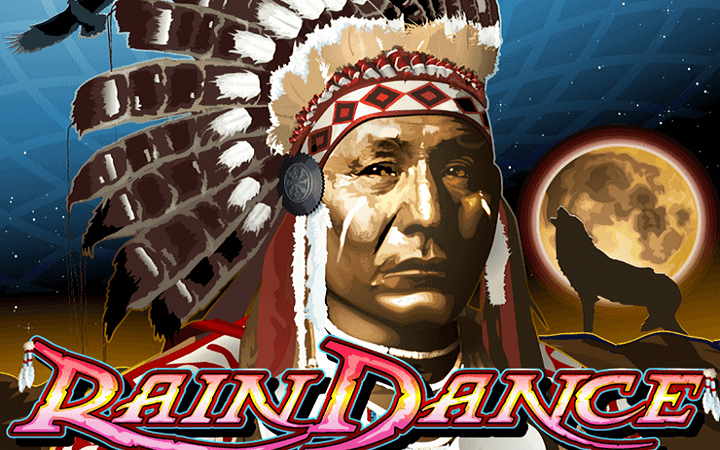 Rain Dance online slot game by RTG has four high-valued symbols in total. They consist of theme-related pictures, such as a dreamcatcher, a tomahawk, a tepee and an eagle. The rest of the symbols are low-valued and shown with numbers & letters. The tepee symbol is the most paying one; you get 2.500 coins if you receive five of them in total. The rest pays between 40 and 1.000 coins. The chief picture is used as the wild symbol and it substitutes all other ones, except the scatter. Wild only appears on reels 1 and 5. It also doubles all prizes if appears in a winning combination. (For example, the tepee symbol starts to pay 5.000 coins if there is a wild involved.) Scatter symbol is shown with a picture of a wolf howling at the moon. Only two scatters are enough to trigger the free spins bonus round, you get one re-spin for two (or more) scatters. This feature can get re-triggered infinitely and all prizes are multiplied by x3, x4 or x5 according to the number of scatters. After pays are awarded, reels with a scatter are held while the others re-spin once. Scatter symbol also has a payout value of 100 coins and it doesn’t need to appear on a pay line to award the player. You can set the coin value by pressing the “coin” button between 0.01 and 0.25 coins. The maximum bet amount is also 0.25 coins – this is what we meant by saying “low cost”. As always, you can practice on the free slots no download version of the game as long as you want, without a cost. Play at Casino Avenue for more free slot games!